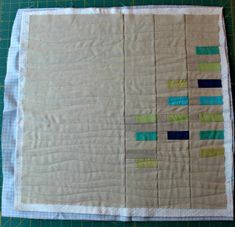 You all – the Wonky Quilt is done!!! 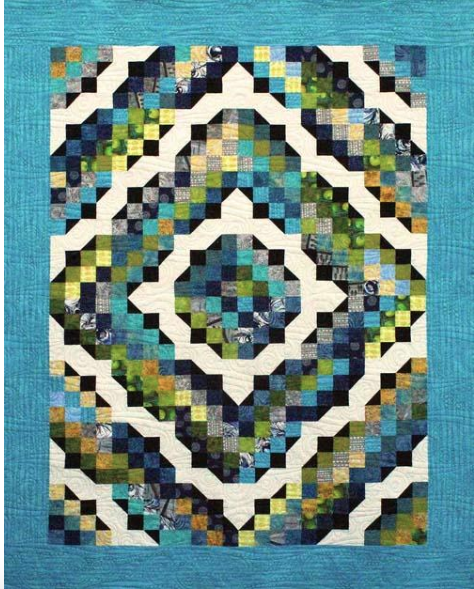 This is one of those quilts that I just LOVE, for so many reasons. First, that I was able to come up with a design that I really like, which uses a fair amount of negative space. Initially I grouped all the stars together, but it just felt too crowded, messy to me. In the back of my head I could hear my sister Mary saying – “give the eyes a place to rest,” and so I incorporated in the negative space and bam, it came together for me. The layout of the wonky stars is the challenge as the stars are all different sizes, and colors. For me that was the fun part so once I got it figured out I was thrilled. The second reason why I love it – it’s had many hands in the making. Many of these stars are from other quilters that I connected with through a wonky star swap on Instagram. Makes it very special. The third reason – well there are two stars that are little unique cause they have a little bit of ME in them. If you’ve been following me on IG or read my blog posts, you know I’m all about including photo designs in your quilts. Wonky Star blocks are PERFECT for that (You can read more about that here). Someday, many years from now, I envision some grandchild or great-grandchild asking about those photo design wonky stars as they snuggle with this quilt. The fourth reason why I love this quilt (there are many!!) 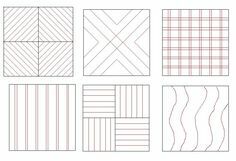 is because of the quilting design. 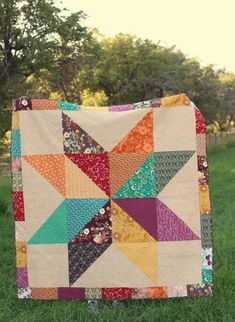 One of my fellow Quild members is a long arm quilter (Jubilee Quilt Co.) and after looking at MANY star quilt patterns we landed on this one. It was perfect for this quilt as it totally embraces the wonky star theme. We debated a bit on the size of the stars but ultimately went with the original pattern size. And the final reason why I love this quilt so much- my sister Mary did the binding on it for me, which means it’s done right & not funky binding. Had I done it, it would of been messed up in some way!!!! If you’re wanting to dive into wonky stars make sure to get on Instagram and checkout/follow these hashtags: #wonkystars2018 #wonkystarquilt One of those hashtags has over 3000 posts so lots to look at for ideas and inspiration!!! !